Home is where healing happens best. 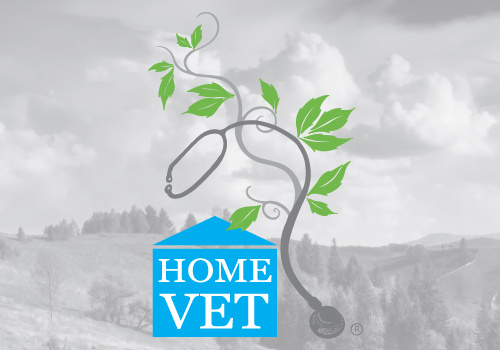 HomeVet articles, your source of invaluable information on keeping your pet healthy, and how to tell, and what to do if your pet is sick. allergic reactions & allergies • metabolic diseases • pet arthritis • pet cancers• end of life care for pets and more. Clicker training is a new, science-based way to communicate with your pet. It’s easier to learn than standard command-based training. Does the Size of the Dose of Homeopathic Remedies Matter? While working in a molecular biology lab almost twenty-eight years ago I learned how sensitive animal cells are to dose. A 6 yr old, male, neutered Weimaraner was treated homeopathically for nasal aspergillosis after failing to respond to two treatments of topical (intranasal) clotrimazole and oral amoxicillin trihydrate/clavulanate potassium. How Can I Soothe My Dogs’ Skin? Could a Rash be From a Skin Allergy? The skin serves to protect the rest of the body. It is a barrier to infection, dehydration, ultraviolet light, irritating and caustic substances. How Can I Treat My Dogs’ Hot Spots Naturally? How does one treat a hot spot on a dog? Are there natural remedies for dog hot spots? These are some of the pressing questions on people’s minds today regarding their dogs and dog hot spots. Skin is one of the largest organs of the body. As such, cat skin problems are very high on the list of health issues. Natural remedies for cats and cat skin treatments can be limited. Our beloved Golden Retriever, Rufus, started having nose bleeds in May 2008. Following an MRI we received a diagnosis of an aggressive nasal tumor. Canine Hip Dysplasia is a condition which begins in immature dogs with instability or a loose fit of the hip joint. The hip joint laxity is responsible for early clinical signs and joint changes. Cranial (or anterior) cruciate ligament (CCL) rupture is one of the most common orthopedic conditions seen in the dog. Until about 40 years ago the cat was thought to be an outdoor pet, but its independent nature and the relative ease of taking care of its basic needs has made the cat a popular pet in the United States. How Can I Better Understand My Cat’s Behavior? Despite continued advances in feline health care, behavior problems are still the most common cause of euthanasia in pet cats. Behavior problems, including normal cat behavior that clients consider unacceptable, cause decreased quality of life for cats and their owners. Pet problem? How can I help? You can now find Dr. Jeff at Holistic Actions!